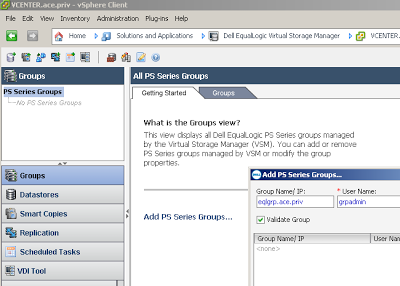 The following blog runs through what could be considered to make up a complete install of an EqualLogic Array with all possible value add software components when integrating with VMware vSphere. Note 1: The HIT/VMware (or HIT/VE – Host Integration Tools) was renamed the VSM as of Version 3.5. Note: The VSM Plug-in is a server-side plug-in and does not need to be installed vSphere Client endpoints. And enter the VMware vCenter credentials. 2. Double-click on the SANHQSetup32And64.exe to install (accept the prompt to install .NET 4.0 if not already installed.) 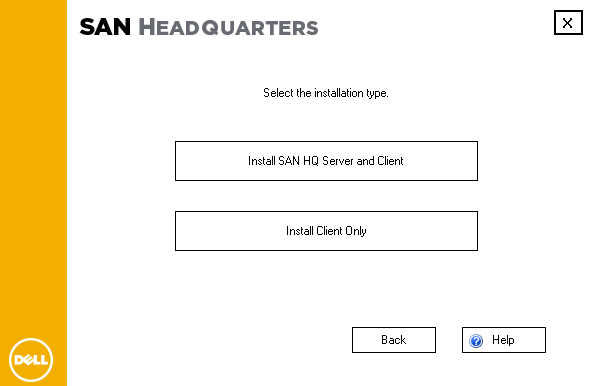 Here we ‘Install SAN HQ Server and Client’. If you want to get the maximum value out of your EqualLogic and VMware vSphere environment, don’t miss out on these recommended and free extras! 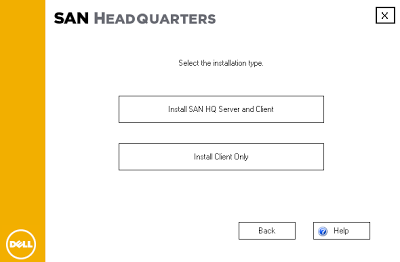 In the latest version of SANHQ there is a feature called SAN Assist that should be enabled to provide better proactive service. It is included in the latest version of SANHQ. Hi Anonymous, thank you very much for the comment. I'll certainly check out SAN Assist. Cheers!